We're doing well for news this week, aren't we!? Community Classes are informal, fun, for adults, and are held in the GU12 area (address on booking). The projects are planned, so all you need to do is bring yourself along and enjoy. Class fee covers materials and refreshments. Please bring your own glue. These are two sittings of the same class, costs £10 per head. 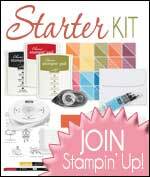 FREE new Annual Stampin Up Catalogue (dated 1st July 2014) for class attendees.